This fullgame mod completes the Concept : Future project. NOTE : This game is definitely playable if played from a completely unmodded game, as itâs been tested on numerous occasions. However there could be problems if some of the important files have been edited. In the vast amount of cases this mod would over-write these files, however to be safe, I would suggest that you install the mod on an unedited game! 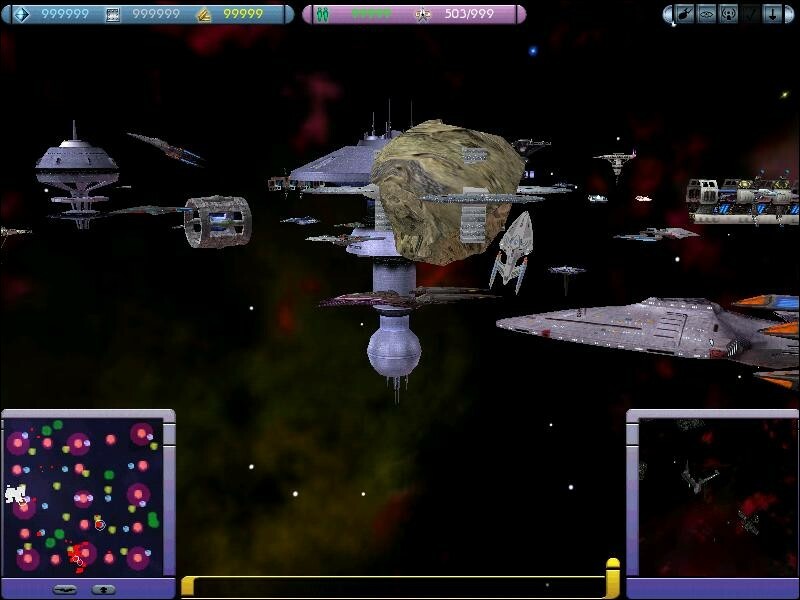 The mod has also only been tested on the Armada 2 game, this mod has not been tested on armada 1 (some of it may work, with/without modifications to the odfs etc, but I would imagine that the SODs would be a different matter). To install just open the main folder and double click on the executable file - this will install the files to where they need to go as long as you enter the correct directory. Alternatively (if you have other mods and some modding skill) just open the zip file and execute the exe file(save it to a different folder) then move the files that you want to where they should go. I think that it's obvious where they should go once open - but any problems and just mail me, it wont take long for me to get back to you! Note - if you want to keep any data since before this installation I suggest that u back it up. A lot of the data will stay â but there are a few files that have to be edited for the game to work properly with the mod. It's been nine years and seven months since the crew of Voyager brought her home safely, and thirteen years after the Enterprise successfully defended Sector 001 against another Borg threat. Since that time the alpha quadrant has been a little quiet in general following the end of the war with the Dominion. The Alpha quadrant has seen minor skirmishes between the Klingon Empire and it's various foes because of it's undying need for violence and death, the war between the Borg and Species 8472 did soften for a while after Admiral Janeway returned from the past to recover Voyager and to destroy the Borg's central command functions. Also with the Romulans attempting to take the Prometheus Class prototype relations between the governments was stretched, however the Romulans are attempting to make a mends for their actions. Since then the Borg re-formed with a new, unknown, leader, rampaging through the delta quadrant, discovering new technologies that were previously unknown to them, they have become even more powerful, with the same central idea as before - perfection - at any cost. The Dominion retreated to the Gamma quadrant for a few years, while they rebuilt their ships. 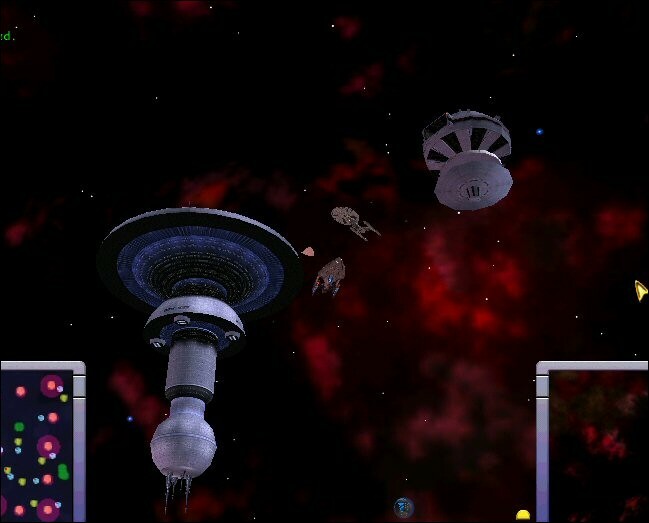 Then in 2380 they entered the Alpha quadrant again through the wormhole guarded by Deep Space 9. There was a battle and many lost their lives. However the Dominion were successful in getting a few ships into the Alpha quadrant before destroying DS9. When there the Dominion fleet managed to get behind Cardassian borders where they struck a deal with the Cardassians who have hated them since their parting of ways after the Dominion war. The Dominion have since engaged in a trade-resources agreement with the Breen, the Cardassians, a few Kazon ships thrown across space by an anomaly, the Sonâa and the Ferengi. Ultimately this created the Alliance, a very powerful and strong fleet capable of crippling many Federation ships easily. Take a look at the flash file storylines. They tell a bit more of the story and the specifications of the Prometheus Class. Thanks to âHowardâ for making these. I have edited the missions to the best that I can and there is a storyline there - it would have been more interesting if I could have edited the missions properly. Also the answer to what is causing the disruptions is at the end of the missions â but anyone who can mod can find the answer in one of the mod files. (I wonât tell itâs too easy enough). I donât really like the storyâs ending â so I think that Iâll edit it for the next one â mail me bout it with any comments or ideas! Itâs best to play the game at standard tech, as I havenât tested it at anything else yet, feel free to give it a try tho! If you need any help/support with this mod please email me at conceptfuture@yahoo.co.uk, ill get back to you as soon as possible! This mod has been created mainly from ships that were already in existence before this mod was made; please see the credits part at the end of this document for all acknowledgments for all whoâs generosity in letting me use their creations allowed this mod to exist. 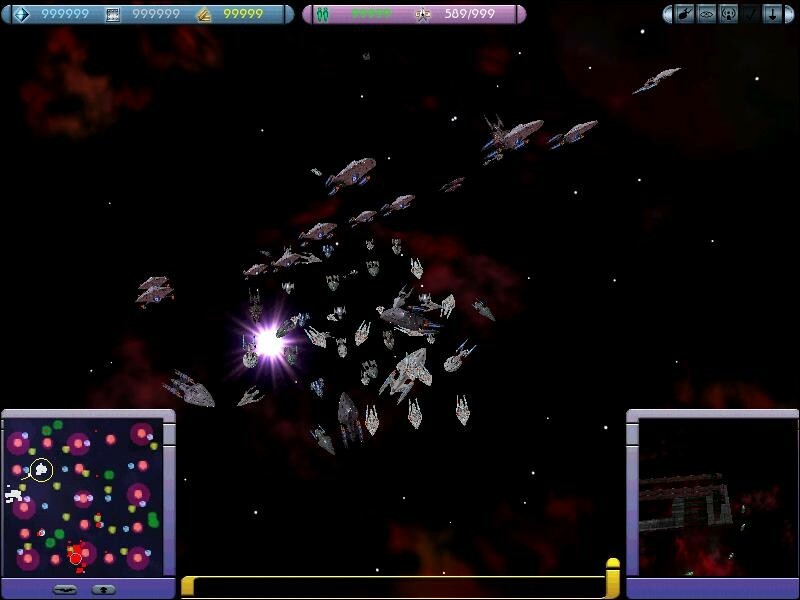 Federation repair ship replaced by a wasp class that can take a battering! â¢	Some of the wireframes were not right. This is because I need people to help or I need to find them somewhere on them web (which is very BIG!!). â¢	I have since learned how to create wire-frames (with a little help from Porty) and have created a lot of them myself â however a few of them still have that black background. (damn!!) â Spectre carrired this part of the mod. â¢	The AI of the federation is still not right â I am working on this and if you have any idea please mail me! Iâve managed to get it working at last, no idea how though! But it should be improved by the time this is released. â¢	The AI of the Alliance is still not right â I am working on this and if you have any idea please mail me! â¢	The Cardassian first shipyard has been changed to a Dominion one and the repair hp is a little weird â doesnât change the game play though. 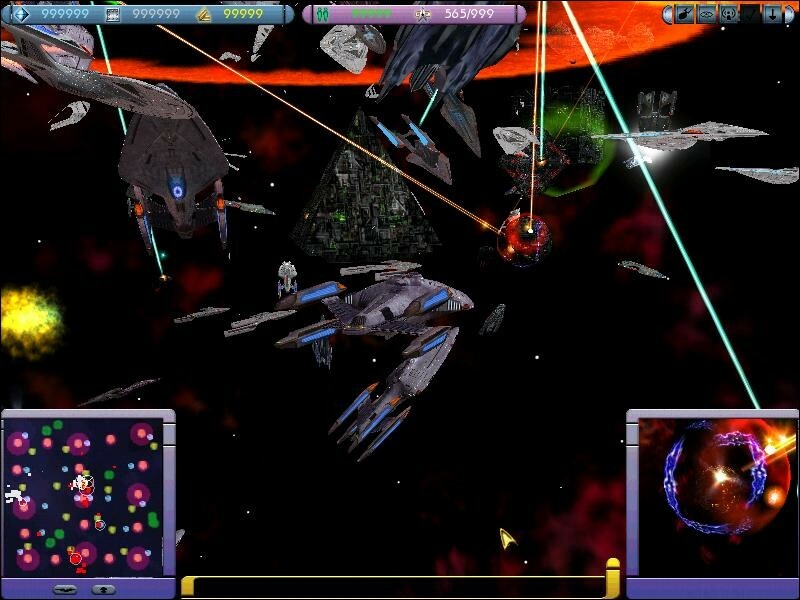 â¢	Bird of Prey doesnât work very well under the AI â they canât evolve it into the better more powerful version. â¢	A lot of the wireframes have a black background. Whilst I would have preferred them all to be as Activisionâs, the oneâs I have are good enough and time would be wasted trying to change this. I may release a patch normalizing this and other aspects of the game if I can find help and some time. â¢	Also the bbs would look better normalized (all facing the same way) â but for now Iâve settled with them all being a2 types. Without the help of these people the mod would never have been finished!! All odfs were created by concept:future unless otherwise stated, also I did most of the shipImage bitmaps and one or two of the wfs, bbs and other small things to make the game better. Also Spectre did a hell of a lot of bbs and some bbs for me â speeded it up a lot, thanks mate! A lot of the wire frames and a lot of the build buttons were created by conceptfuture for the alliance. Also: Porty, for the very nice build buttons, wire frames, and admirals log pictures. And Westworld, for his alternate shipyard sod and texture. Meshes, textures, odfs, weapons, wireframes, tooltips and everything else, by kleotol. Ships used in Borg Incursion - Credits should also go to Deemon, Westworld, Quevey, and Starforce2 as well as Lord Bile, Raven NX and Mind Blip for their inspirations. Thanks again MA Payne â this mod would have been much worse without your ships! Also I want to thank Porty7 for his help with sorting out some of the wireframes. Also Warpspeed for the great banner on the site! And Porty and Steve Wilson, as well as Jkerplay, Chris D, Omega1989 and Anthony Thompson for their help with the AI! I finally got it working â tryinâ to improve it though. Thanks to Omega1989 and DaKing for testing the beta of the fed addon (and being patient!). Also thanks to Matrix-Virus for helping with the mod and being the first proper member of the Concept:Future, other than me! Also thanks to startrekaustralia.com for some great ships! I think thatâs all of them â if Iâve missed credit out for one please mail me! And sorry if thereâs a mistake anywhere in the mod â Iâm only human! I have made bigger, better ships available at the start of playing as this should make defending and attacking easier at the start. 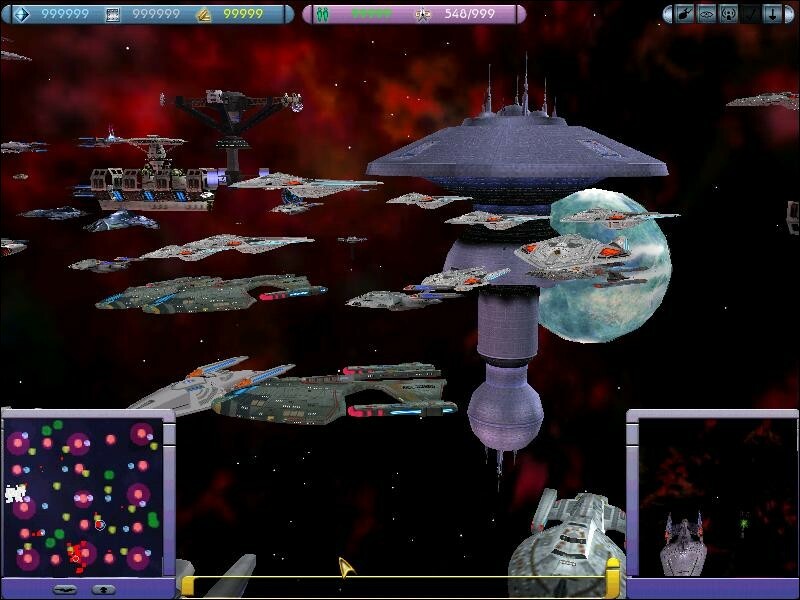 For example, Iâve used the Prometheus class, the Scimitar, Borg Tactical Cube, Dominion Dreadnaught, NeghâVar etc. Also I have put two bases in for the federation because (for starters) people have requested, and I like the look of, the HQ style base. But then there was a problem with the techtrees -> The HQ base was too big (memory wise) to be building them everywhere â so I decided to only give on at the start of a Instant Action game. It makes the start a little unbalanced as the feds would have more defence, but itâs not too bad. Thanx for downloading my mod, and thanx again to all those people who have let me use their great mods to create it! If anyone needs any help with this mod , or your own mod, Iâd be glad to help (If I can!) â Email me â I can probably help! All ships/stations that I have not given credit to were created by Activision/Mad Doc. This project is in no way affiliated or authorized by Activision, MadDOC Software, or any subsidiaries, sub divisions, company members or other such affiliates to the aforementioned companies or other companies included in the development of Armada 2. They cannot be held liable or responsible for your actions concerning inappropriate usage of the files contained in this mod. Please refrain from contacting any of the above parties with regards to problems arising from any kind of usage of the files contained in the mod, as no support is given. You are responsible for your own usage of this mod, and are dictated by the standard terms governing its usage. This includes extenuating circumstances in which 3rd party alteration to the included files may cause problems (although this will be very rare), or damage to the users system. In this case I cannot be held liable for such misuse, but I will provide any help or support as far as I can. I love the entire Romulan race in Future:Concept and i was wondering if was possible to get the entire race as a seperate mod or just the new ships individualy, exspecially the Romulan D'deridex Warbird texture(i think is the best texture out there!). Good mod, but I'd rather hear flaming alley cats going through a blender than Creed. How do I change the main menu music? This is a great mod. I wish I could play it longer in first player and enjoy it longer than 5 minutes............. but it always crashes. grrrr Its been sometime since it was developed, has anyone developed a patch for the crashing as of yet? Cmon, hurry up on a patch. This is an extraordinary mod that definitely needs to work without crashing. Game crash's during instant action. It happen's during any faction I pick. I unistalled it and re-installed it several times. I have Windows Vesta. when I finish the Federation Campaign, I can't get the Klingon one to load. It causes my game to crash. If you know of a way to fix this problem please let me know.